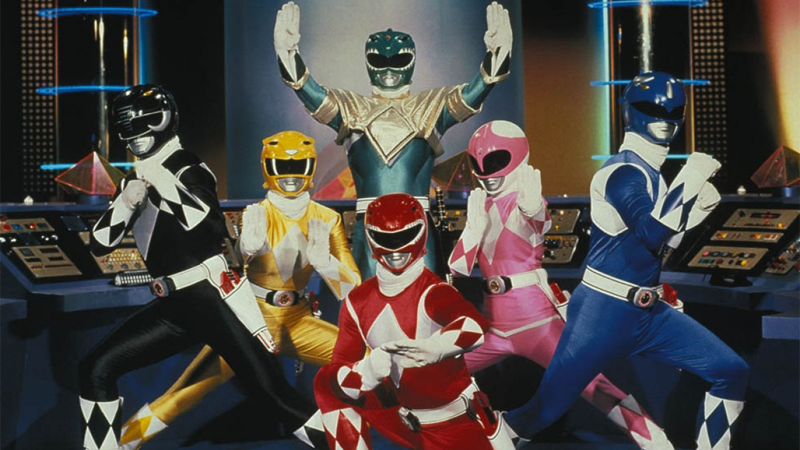 Last week, the full script Max Landis originally wrote and pitched for the Power Rangers movie reboot in 2013 made its way online. With the new movie so close (it premieres March 24th), we thought we’d take a look to see what might have been... and honestly? We’re pretty sure we’re going to like this version better. 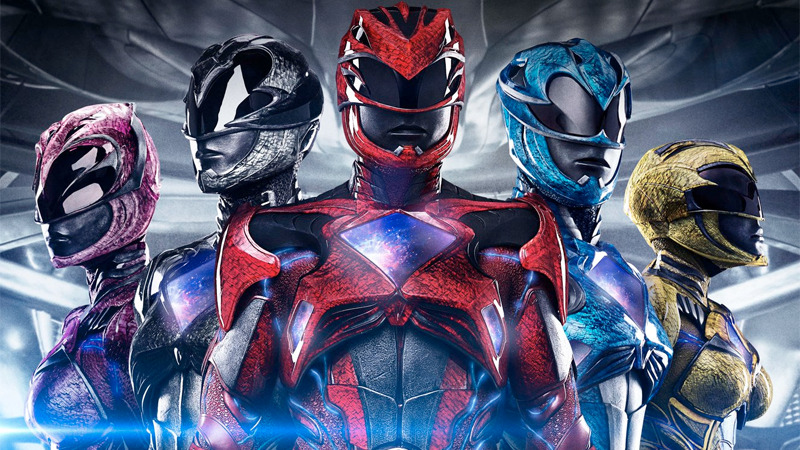 The upcoming Power Rangers movie seems to be taking itself very seriously—in fact, the first trailer felt very much like an homage to the writer’s pared-down take on superheroics in Chronicle. Landis’ script for Power Rangers is anything but—not only does it totally embrace the mania of the franchise, giant robots, power coins, and all, it’s also refreshingly funny. The opening third of the movie is pretty much all Jason, Trini, and Billy—Kimberly, referred to throughout as Kim, and Zack are both more isolated from the main group for reasons we’ll discuss below—and much of their teenage banter is quippy and funny, and feels like it does a good job of both feeling reasonably grounded and like it’s dialogue between teens. The humour continues throughout, and by the time big fights are happening and the script is in full-on action movie mode, there’s still time for some good cracks and goofy moments. As Landis himself lamented when the first trailer for the film came out, he wrote a fun, retro action movie—something the actual movie doesn’t seem to have managed. I wrote a silly, fun, goofy retro teen action adventure movie. They fired me, and five or so writers later, it appears they made Chronicle. That said, one area where Landis’ script differs itself from the original series is in the actual relationships and attitude of the core team of Jason, Billy, Trini, Kim, and Zack. In the original show, “teenagers with attitude” basically meant that the Rangers liked extreme sports and wore ‘90s-as-hell outfits. The teens we meet here are altogether much moodier and thus feel more realistic, even after they become superheroes with giant robot animals. Jason in particular is definitely cut as the bad-boy stereotype, constantly running up against his police officer father, but each Ranger has or her own issues. Billy and Jason are clearly best friends in the script, but there’s an underlying tension in their relationship, which leads to frequent arguments. Trini is a control freak who’s almost always on edge, while Zack has bad blood with Jason for distancing himself from their friendship after joining the Angel Grove High football team. Kim is probably the most radically different—a punk-rock, anti-establishment loner whose temper is on a hair trigger. Also? They’re pretty much all dating each other. Billy used to be going out with Kim, but they’re broken up by the opening of the movie (although they get back together, and there’s even a passing mention of how Kim moved on to a guy named Tommy Oliver). Trini and Jason have an on-and-off relationship that likewise is back on by the script’s end. Only Zack is currently not romantically involved with another Ranger—but he does have a girlfriend who plays a minor role in the script. It’s not just the Rangers who have got attitude problems. Zordon himself is definitely less of the straight-edged mentor he was in the show—he doesn’t want some dumb humans getting in the way of his attempts to stop Rita, and is constantly lecturing the teens when they inevitably don’t do as their told. 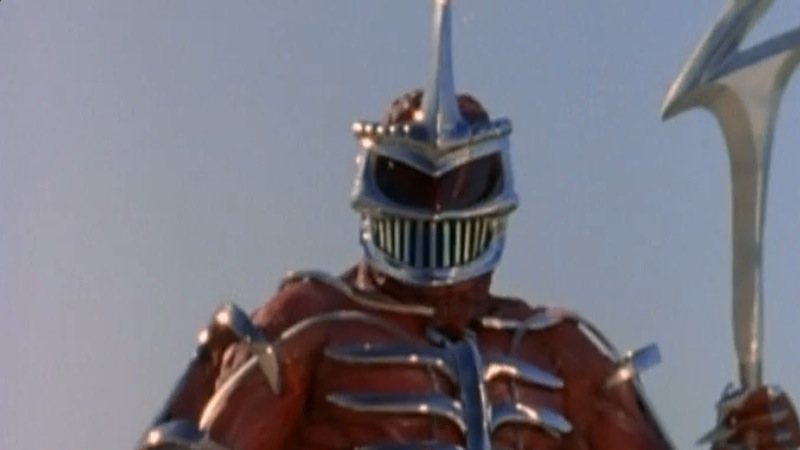 By the end of the script he’s a little more traditionally Zordon-like, but when you first encounter this take on the character, he’s not what you’d expect. He’s not human; he’s nothing CLOSE to human; the passive glance would lead a person to comparisons with E.T, mixed with some distant undersea squid; two feet tall, with tentacles and a broad,expressive and utterly alien face. 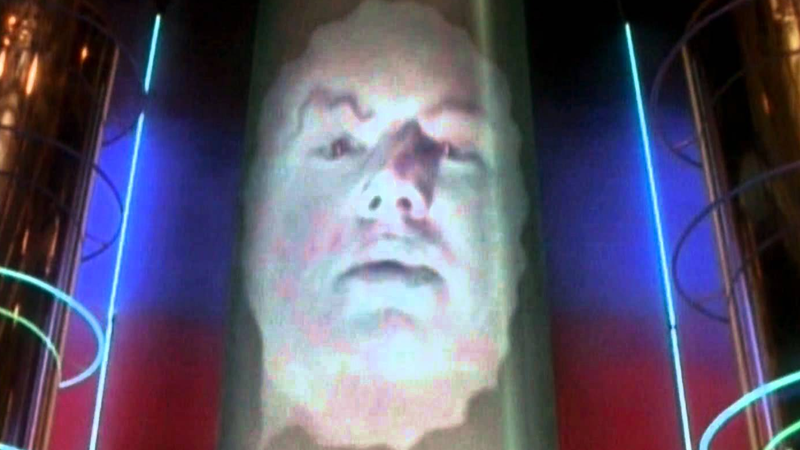 Unable to communicate with the teenagers when he first encounters them, Zordon initially connects with a TV in Trini’s house, borrowing the face of a presenter from a nature programme to act as his interface. Eventually, when he gets hooked up into the alien systems of the team’s Command Center, he’s back in classic head-in-a-tube mode. 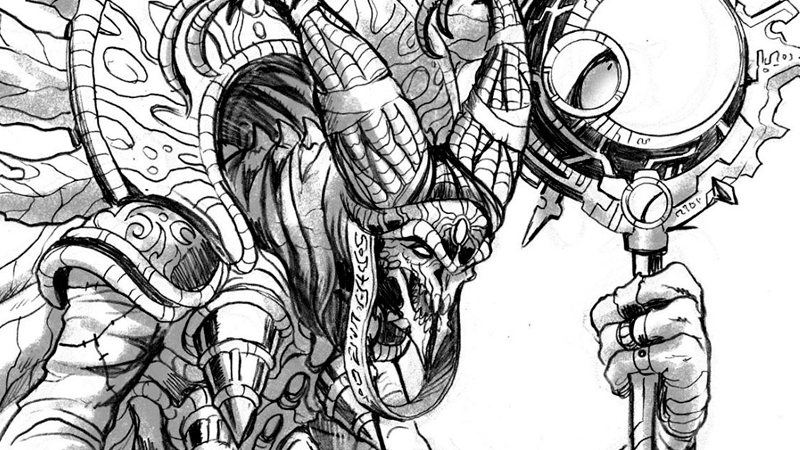 Alpha is still very weird compared to his usual self, but perhaps not as alien as he is in the actual upcoming movie. At first, he’s just his UFO-shaped head, but with robotic, spidery legs. He still has a silly voice—literally one of his first lines is him doing the classic “ay-yi-yi-yi-yi” moan—but he’s more like a sentient toolbox and helper for Zordon at first. Later on in the script he acquires a robotic body from a defunct security drone in the Command Centre that gives him a more traditional form. The classic villains of the series are likewise re-imagined as very alien in origin. Aside from Rita Repulsa, classics like Scorpina, Goldar, and even Squatt and Baboo show up, as do the Putties, who are literally flexible masses of clay-like alien goop who can form extra limbs and mould around attacks when needed. Henchmonsters Squatt, Baboo, and Goldar are kept the closest to their original counterparts (unlike the current movie, Goldar is still been a blue, furry monkey thing in a lavish suit of golden armour). Rita and Scorpina, however, are no longer humanoid but distinctly alien. We’ve seen concept art for this take on Rita that emphasises just how much larger and freakier she would’ve looked, but Landis’ Scorpina—who was just a woman in skimpy alien armour on the show—is described as being like a Predator, with an added scorpion tale to give her her namesake. Zordon and Rita have major history together in this take on the Power Rangers. As has also been rumoured for the current version of the film, Zordon was a former Power Ranger (the Red Ranger, naturally) who helped seal Rita, an intergalactic criminal who’s part of a gang called the Dominators, away on Earth’s moon thousands of years in the past. But by the end, it’s revealed that Rita herself was the Black Ranger on Zordon’s team—a former hero who betrayed and murdered her fellow Rangers after being tempted to power by the sinister Lord Zedd. As part of Rita and Zordon’s backstory, the movie also fleshes out the backstory of the Power Rangers mythos, turning the Rangers into a quasi-Green Lantern Corps-esque organisation of space cops. Zordon’s team is just one of many different squadrons that are law enforcement for the planet Eltar (perhaps Landis’ subtle attempt to lay in a way for future incarnations of Power Rangers beyond the Mighty Morphin’ team to appear in future movies), a bastion of peace in a larger Eltarian empire. However, it’s eventually revealed by Rita that all the other Power Ranger teams were destroyed over the last 10,000 years, defeated by Zedd’s army. Zack ends up being the Pink Ranger, and Kim the Black Ranger. The mix-up is played for laughs at first; Jason is handing out the power coins but doesn’t realise their colour, so he gives the pink power coin to Zack, which leaves Kimberly with the black power coin. Eventually Zack is fine with keeping the Pink Ranger suit and its flying mech—even if the closing scenes of the script tease the idea of Zack and Kim swapping power coins at some point.